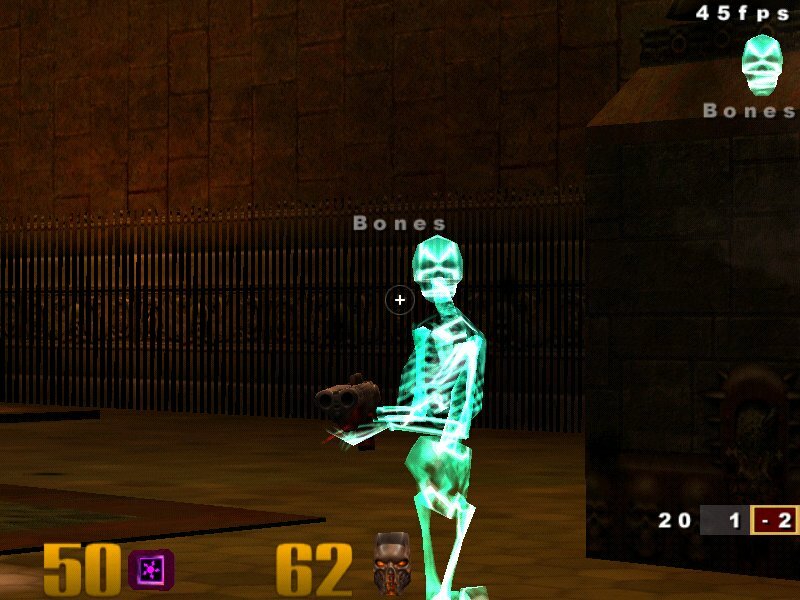 QUAKE III FRAG TILL YA DRAG!!! If you have a map that you would like to post for review let me know and i will do my best to post it.If i get enough request there might be a mods section and or a skins section.If you have any tweaks please share them with us or if you have a tutorial that you wrote and you feel it would be of help to others we will add it as well.know any cheats well i'll hang them up also. while your here check out the topics at the message boards. If you have any suggestions or comments feel free to email me. 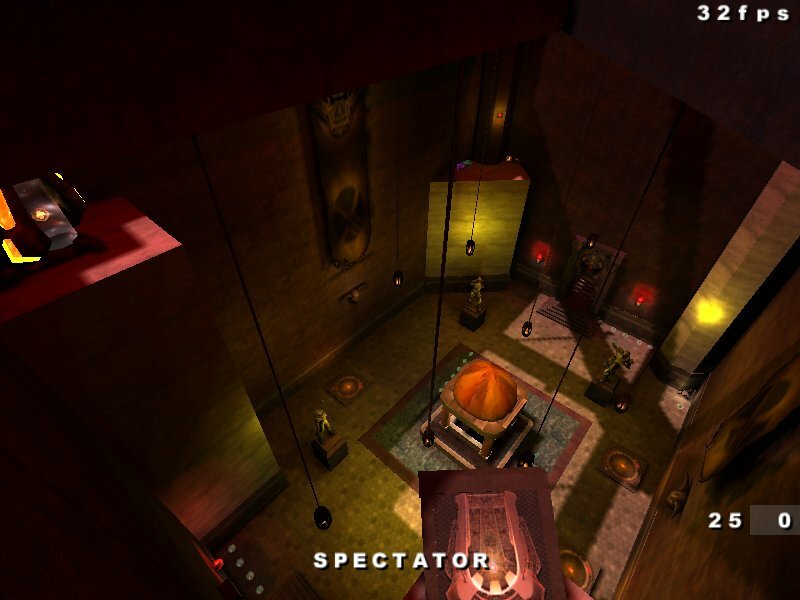 (TIME TEMPLE) This map is due to be released 7/1/00 be sure to check out the maps section then. Bones taking a moment to pose inside the temple!